For those who aren't familiar with Arbonne, they are basically a mail order company who work in a similar fashion to Avon and provide high end skin care products - you can join the Arbonne team as an independant consultant or you can purchase their products through your own nearest independant consultant - if you don't know who your nearest consultant is, just log on to the website at https://www.arbonneinternational.co.uk where you can purchase products directly from them. 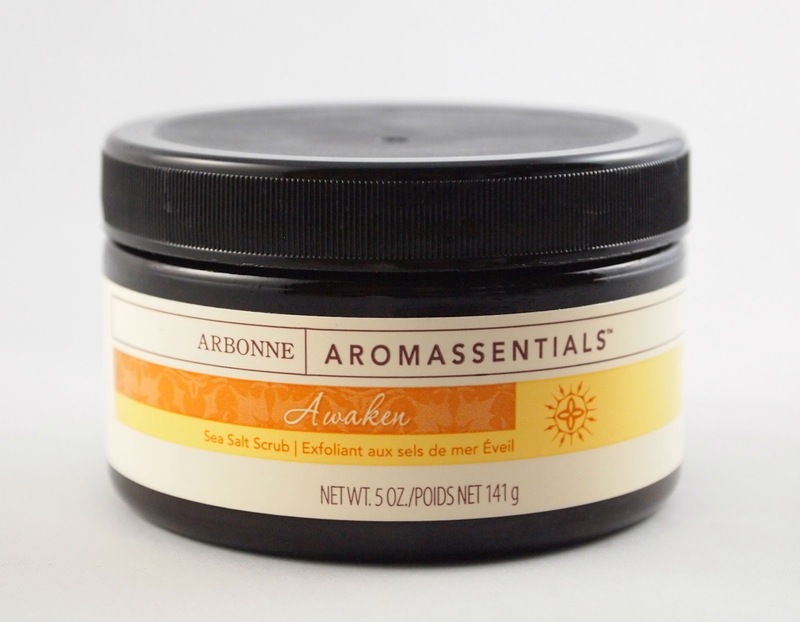 Arbonne's new Aromassentials range launched this month to much anticipation. Awaken - The perfect way to start your mornings, with products such as a rejuvenating body mist and Uplifting bath and shower gel filled with energising aromas to give you a heightened sense of alertness. Unwind - Designed to relax and soothe you at the end of your day, with products such as tranquil bath salts and calming body lotion. The ingredients include avocado and safflower oil, and the scent is really invigorating! I used this first thing in the morning to gently exfoliate my skin - it gave a real pleasant tingling sensation, and when showered off my skin felt so smooth and revitalised! I noticed a real difference after just two uses. I was thrilled to try this as obviously being 33 weeks pregnant can really make your body ache, and it gave me the perfect excuse to talk Bean Daddy into giving me a nice pampering massage! The ingredients include grape oil, olive oil, jojoba oil and passion fruit oil and it is suitable for all skin types. A little bit of this oil went a really long way, so do be careful not to be too over-zealous with it! You really just need a tiny little splash. The scent was so calming and I can't give the oil enough credit - it was just bliss! Overall I was very impressed with the Arbonne products I tried, and I would certainly be interested in trying more from their range as the products are of very high quality and they certainly don't skimp when it comes to sizing - I'm sure these products are both going to last me quite a while!